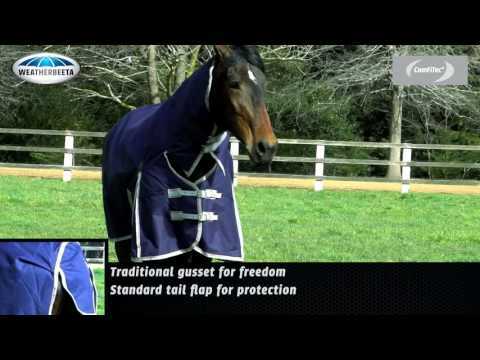 The Weatherbeeta ComFITec Standard Neck rug offers medium weight wind and rain protection for your horse when being turned out in the field or paddock. This high quality, durable rug is great value for money while offering the durability and praticality expected accross Weatherbeeta's extensive rug range. This essential rug offers a rip stop outer to prevent the spread of pulls, rips and tears as well as handy adjustable leg straps, a standard tail flap and twin front buckle closure.